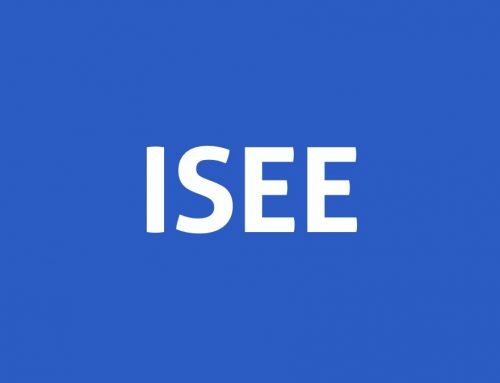 Remote tutoring with video chat software like Skype and Facetime is a natural fit for Piqosity’s adaptive practice platform for ISEE Upper Level, ISEE Lower Level, ACT, and SAT. 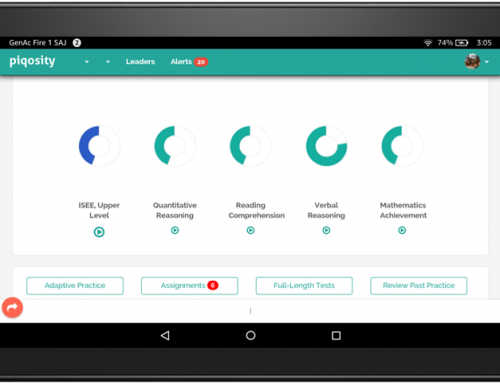 With no bulky books and scattered papers to worry about, Piqosity and video chat software enable tutors to efficiently work with students without geographic restrictions. For remote tutoring, you have to use technology to bring you together with your student; otherwise, in-person tutoring best practices still apply. If you were meeting with a student in person, you’d probably sit next to them, open up a book or a website, and work through material together. For remote tutoring, you sit next to your student using video chat software, open up a website using screen sharing, and work together using a whiteboard app. If you want get the best gear, we recommend a high quality headset with noise-canceling microphone like the Bose QC35 or Razer Man O War and a big-screen tablet designed to work with a digital pencil like an Apple iPad Pro or Microsoft Surface tablet. However, in our testing, we made sure that these solutions worked well on the 8″ Amazon Fire HD8 tablet with a stylus. The FireHD8 lists for $79.99 but can regularly be purchased on sale for $50 or less, and our Kensington Virtuoso stylus goes for about $8 on Amazon, but really any generic stylus will be better than just your finger alone. For most users, we think that using Skype on a computer for video chat and screen sharing in tandem with Whiteboard Fox on a tablet is the best solution at this time. However for users with high end hardware or who are heavily invested in Google or Apple, below we also summarize our findings for Google Hangouts and Apple Facetime plus two other whiteboard solutions. To maximize your productive time during a tutoring session, you should take a few steps to ensure that your technology works. If possible, also make sure your student has the right set up before the session begins. For remote tutoring, it’s even more important that you keep your student active and engaged. After your session is over, avoid “hot mic” problems by ensuring your video chat and whiteboard are closed properly. Document your lesson and ensure that your student was happy with the session. Skype is the Kleenex of the video chat world. It’s a cross-platform name that most people have heard of and are pretty likely to have an account with already. Skype is easy to use and has generally high quality audio and voice quality. It also allows screen sharing, but this feature is limited to sharing an entire screen as opposed to a single window (at least in Mac). Although Microsoft acquired Skype in 2011, the software remains well supported across Windows, MacOS, iOS, and Android. One added advantage of Microsoft’s ownership is that users can now log into Skype with their Microsoft usernames and passwords. Skype is generally free unless you want to use it to call cell phones or land lines outside of the United States, in which case you’ll need to pay by the minute. Hangouts is the Skype for G-Mail users. Like Skype, it offers free audio and video conferencing with screen sharing capabilities. However, its screen sharing capabilities are a little bit more robust in that you can select a single window – i.e. just a web browser – versus your entire desktop. On the desktop, Hangouts is accessed best with Google Chrome but is compatible with Explorer, Safari, and Firefox as well. There are apps for mobile platforms. Another unique feature about Hangouts is its tight integration with Google Calendar. If you’re already using Google Calendar, you should notice that a unique URL for a Hangouts conference is automatically created whenever you add something to your calendar. This integration in addition to your existing G-Mail username makes Hangouts a pretty obvious choice for G-Mail users. If both you and your student are on Apple devices like Macs, iPhones, and iPads, then Facetime and Apple Chat is probably the easiest option for you as it’s already second nature. However one big draw back is that screen sharing is only available in Messages in Mac OS. This means that you can only share your screen if both you and your student are on a Mac computer like a MacBook or iMac; portable devices running iOS like iPhones and iPads won’t cut it. Virtual conference software makes it so that you can see and talk to your student and even view on-screen content with them. However, most tutors will probably still want whiteboard software in order to work through problems together with their students. Whiteboard Fox is free, doesn’t require a user account, and is clutter-free. Its clutter-free design means that it works well on small screens like Amazon’s 7″ and 8″ tablets. You can easily invite your students with a URL, and you can upload pictures to draw on. AWW App looks a little snazzier than Whiteboard Fox and is also free and doesn’t require a username. However, unlike Whiteboard Fox, it’s design is a little bit more cluttered meaning that it doesn’t work as well on small screen tablets and phones. Additionally, during our testing there was some noticeable lag between when we wrote on one device and when it showed up on screen. Ziteboard features a clean design but requires that the tutor have a username and password. Additionally, Ziteboard can be confusing when one user is on a small screen tablet and the other user is on a desktop. Because there are no clear boundaries of the board, the small screen user might not notice that the big screen user is drawing at all because it’s outside of the user’s view. However, the actual process of writing looks a little smoother and snazzier than Whiteboard Fox; the digital ink looks more like its analog predecessor.